We’ve published over 850 blog posts on The DIY Playbook (say what?! 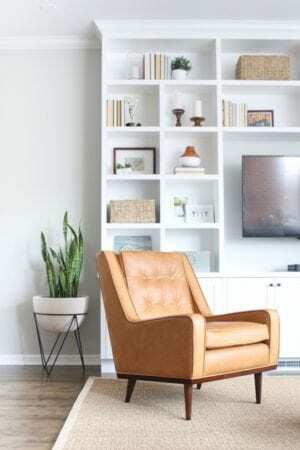 ), and by far one of our most popular posts is “How to Decorate a Rental“, which is full of ideas for rental decor. 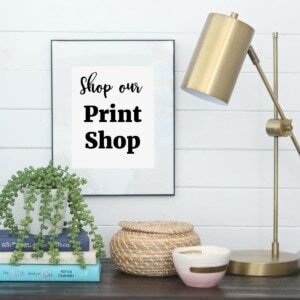 It’s a little ironic since neither of us are renters anymore…but we do feel like we tackle A LOT of projects that can work in just about any space, whether you own or rent! 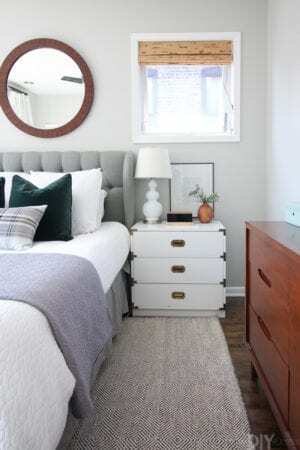 So today we’re back with even more ideas for you renters out there. 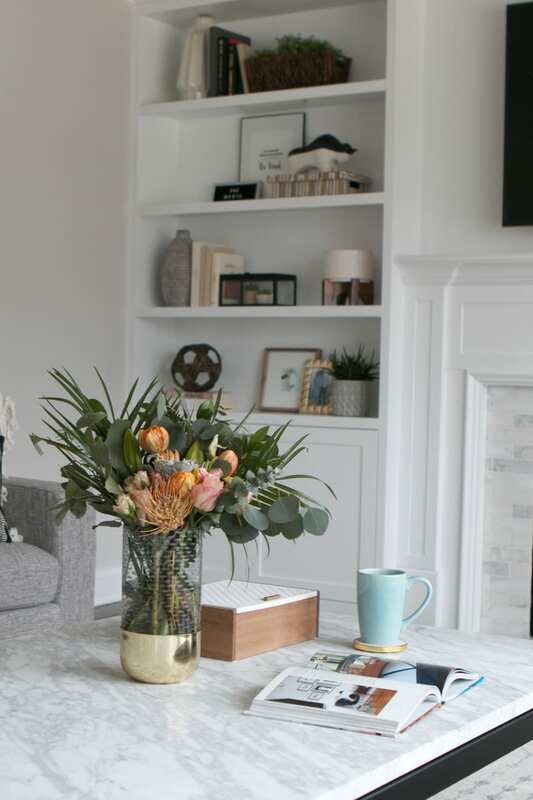 We know it can sometimes seem silly to put in a lot of time, effort, or money into a space that is only temporary, but trust us…it’s worth it to live in a space that makes you happy every time you walk in the door! For more encouragement to stop waiting for your “forever home” to decorate, check out this post. 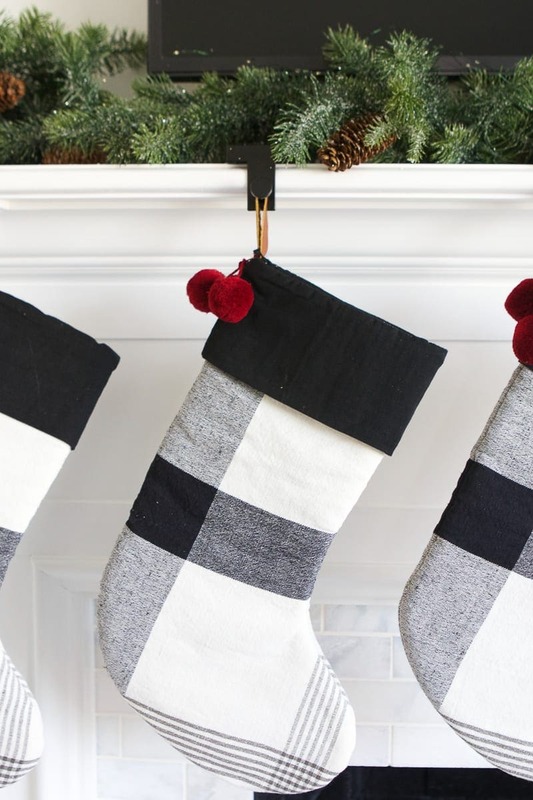 Okay now that you’re fully on board to start decorating, here are 9 awesome DIY projects you can tackle in your space…even if it’s short-lived. 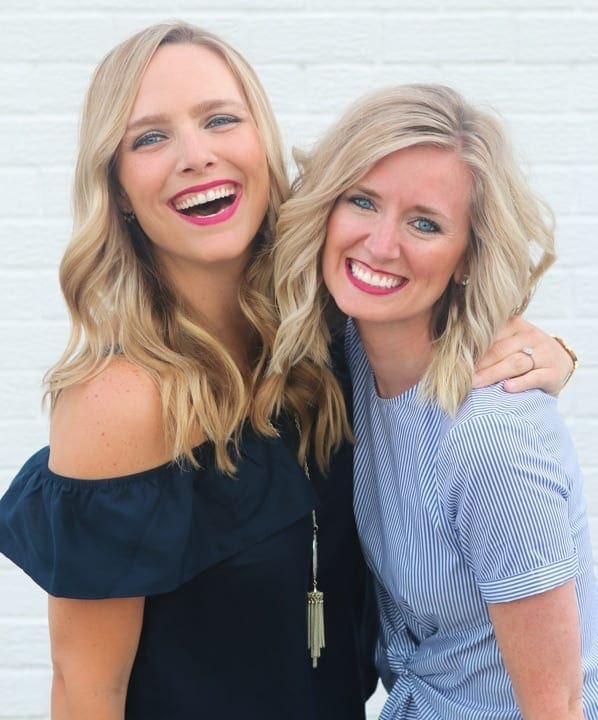 We’ve done a majority of these right here on the blog, but a few are some stellar projects from fellow bloggers and creatives! 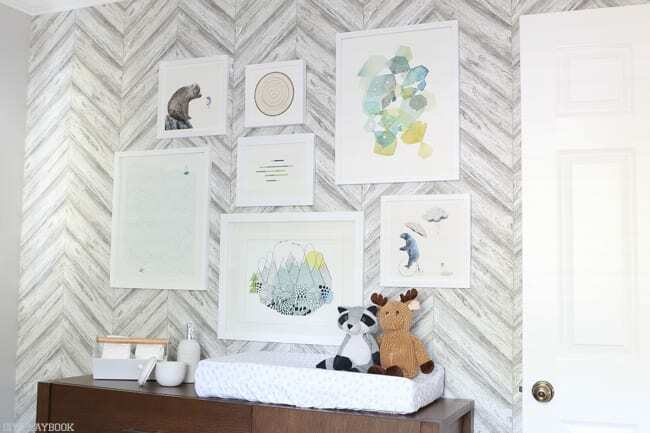 We all saw the dramatic impact that the temporary wallpaper had on the nursery that Bridget designed for her sister. I mean, super gorgeous night?! We love the idea of adding tempaper to just 1 accent wall, or even wallpapering an entire room in your rental! Now we must say that we haven’t ever taken down tempaper, but if it performs as it claims it does, then you should have an easy stress-free time removing it when it’s time to move out. 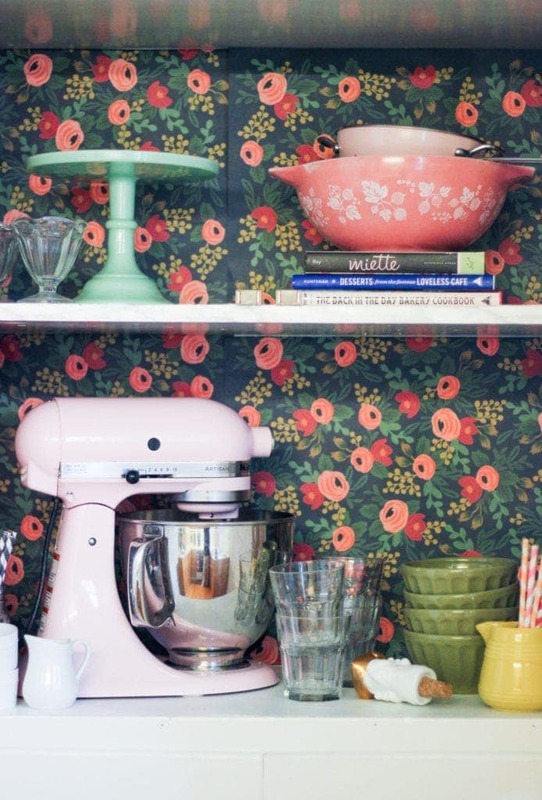 For a big change, without a big investment of time or money, give temporary wallpaper a try! Many apartments come with ugly plastic blinds. Yuck! Push those babies to the side, or bring them all the way up to the top of your window. 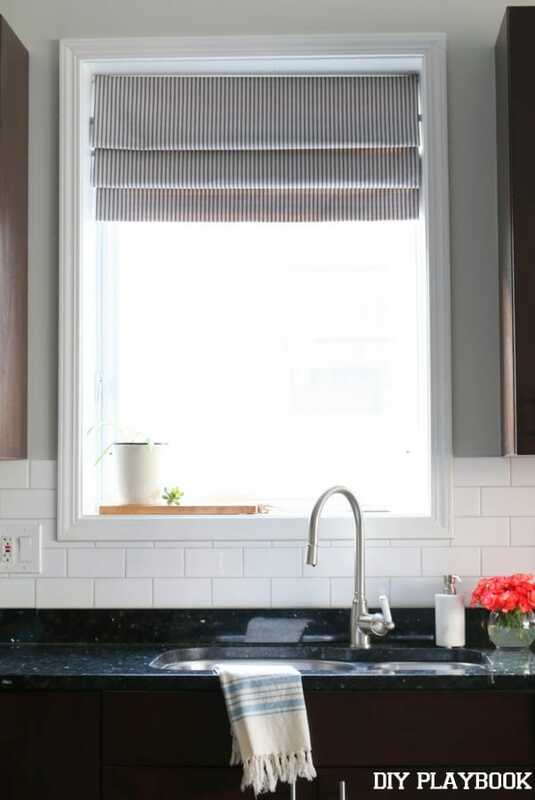 Then hide them with this cute DIY roman shade. Here’s the tutorial for this inexpensive project. <–seriously it only cost us about $20 to create this one. We love that you can choose any kind of fabric to really add some color or pattern to any space! 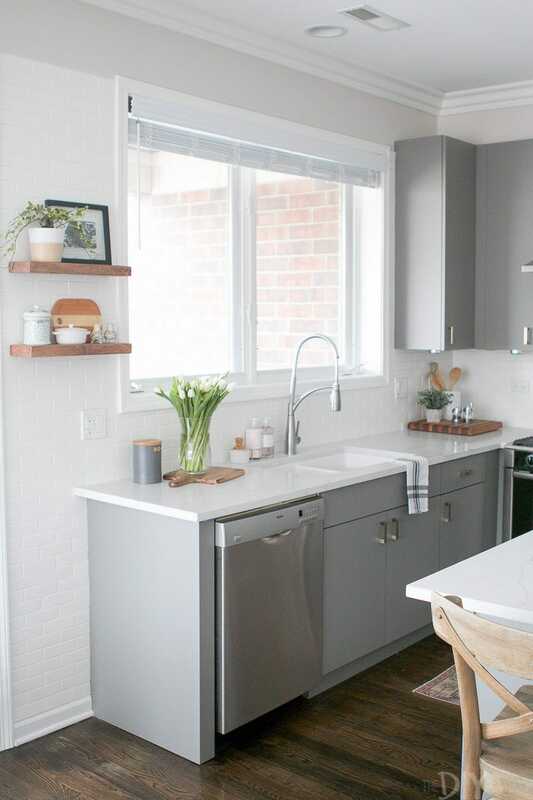 Chances are you can’t change much when it comes to the kitchen in your rental. But you can easily change hardware, and we’re confident it will make a big impact! Buy some sleek new hardware and go to town changing out the drawer knobs and cabinet pulls! 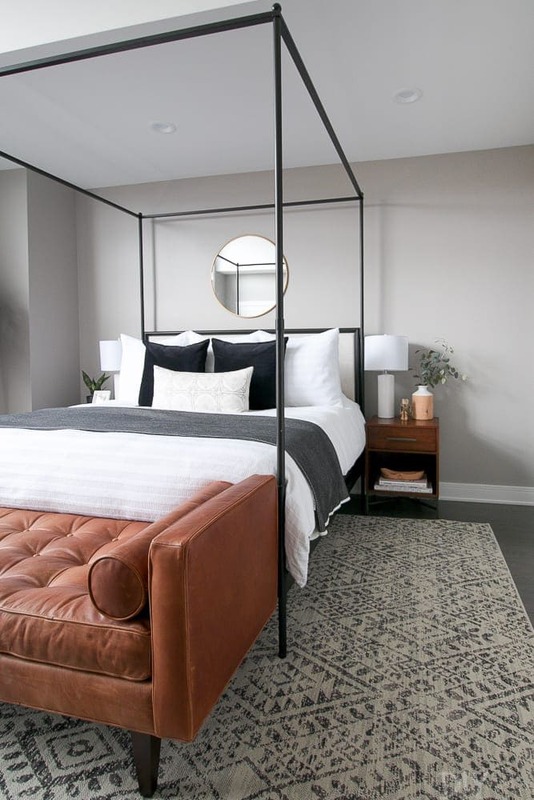 Maggie’s Chicago condo received a modern touch when we swapped the hardware for a more contemporary look, and it really made the space look that much better. Rookie Tip: Be sure to keep all of the old hardware in a safe spot. That way when it’s time to move, you can swap in the old stuff and take the new hardware with you to your next place! Greenery makes any space feel more like home. Now we’re not claiming to have green thumbs (far from it! ), but that doesn’t mean we don’t try to add some life to our spaces. Here’s a list of some foolproof indoor plants that will really liven up your space. And if you’re a real black thumb gal….succulents, cacti, and even faux plants (hey..some are so good you can’t even tell!) are a-okay in our playbook! Also, check out our favorite planters to make this greenery look amazing! We understand why you wouldn’t want to invest in every single piece of furniture in your temporary pad. 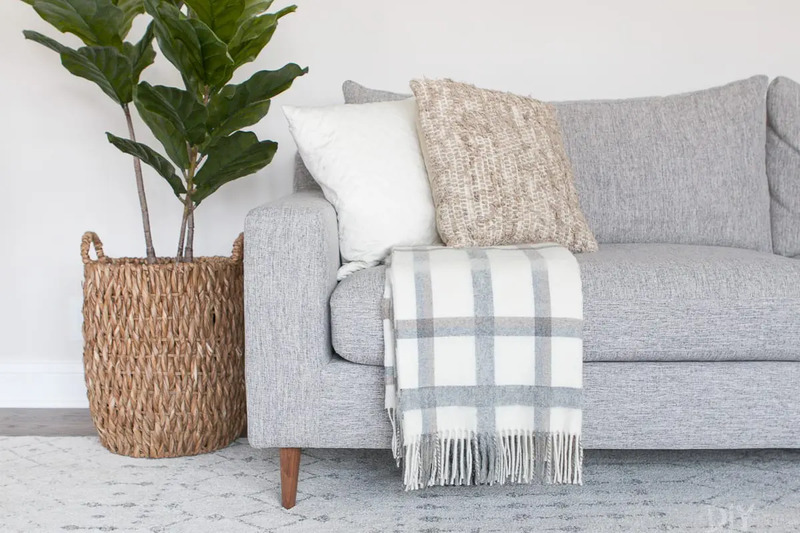 BUT….there are some pieces that can easily work in any space and you’ll definitely be able to take them with you into your next home. 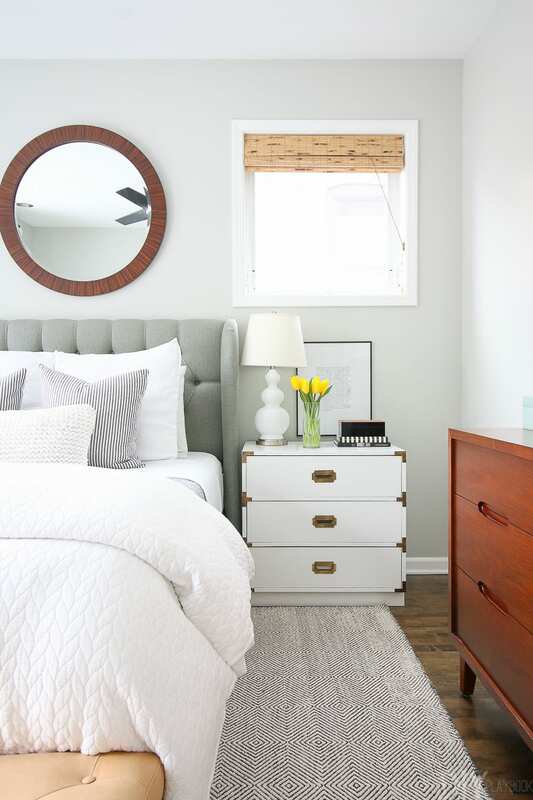 Headboards, rugs, nightstands, and dressers are all great staple items that should easily transition into your next place, so feel free to splurge on these items! 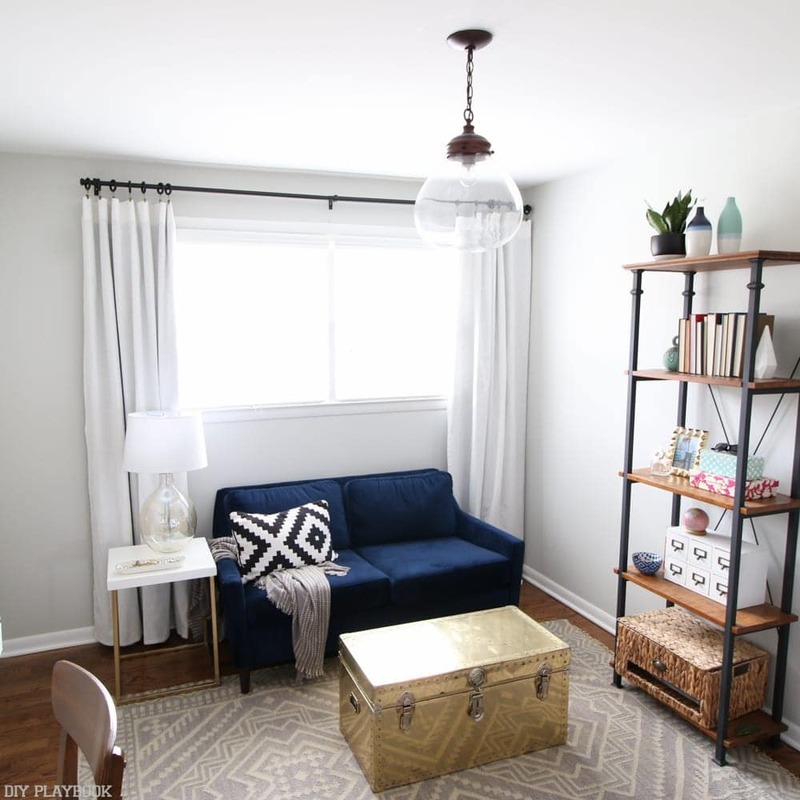 Just like #2 on our list (roman shades), we think curtains are another great option for window dressings. We’ve seen some great ways of adding rods without creating holes in the walls. Here’s a great tutorial using just command hooks! Or, if you’re not afraid to make some holes and patch them before move-out day, then we suggest adding a rod and some DIY curtains to your windows. Make sure you place them high and wide off the windows to make the room feel taller. Here’s a tutorial for inexpensive DIY blackout shades and here’s the right way to hang them. 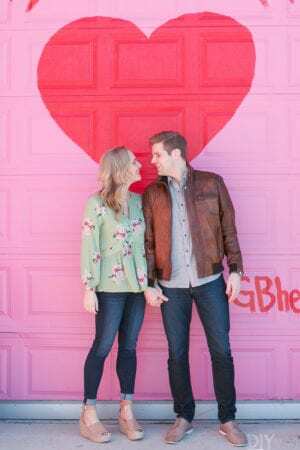 Now we’ve never done this one before, but we absolutely L-O-V-E this idea! If your rental kitchen has glass cabinet fronts, go ahead and line the back of the cabinet with some pretty paper. It can be as simple as adding some adhesive or velcro strips to the back of the wallpaper or gift wrap, and gently placing it in the back for a pop of color. If you don’t have glass cabinets fronts, then consider removing a couple of cabinet doors (put them in a closet so you can add them back on when you leave!) 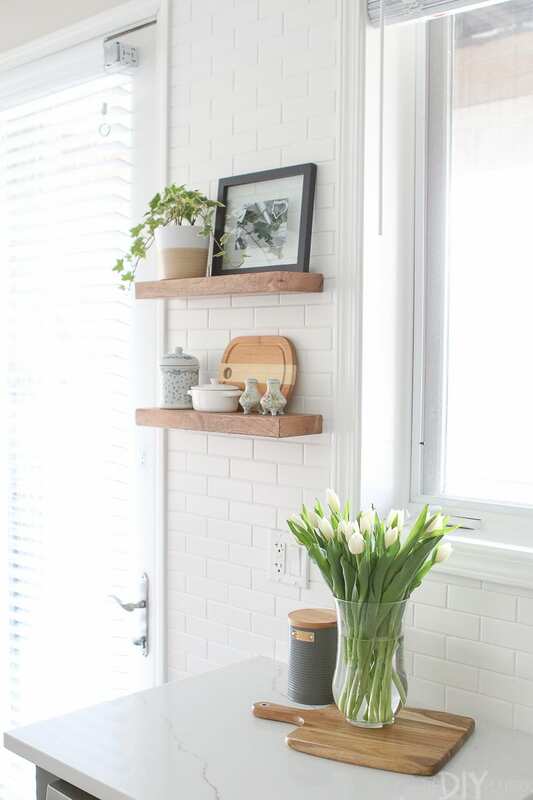 to display pretty dishes and paper in that area of the kitchen. Do you remember long ago in Casey’s Chicago apartment when she added a tape wall to her office? It turned out great (photos here! ), but it did end up peeling off a tiny bit of wall in some areas when she removed it. Oops! Nothing that couldn’t easily be patched and painted, but still not ideal. Instead of using heavy-duty tape, we love the idea of using washi tape because it’s so gentle! 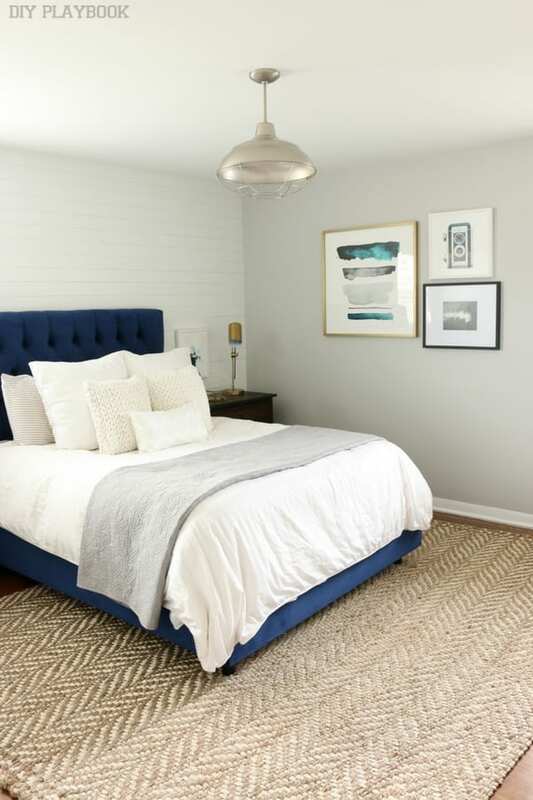 This look from Everything Emily is spot on with the cute accent wall! 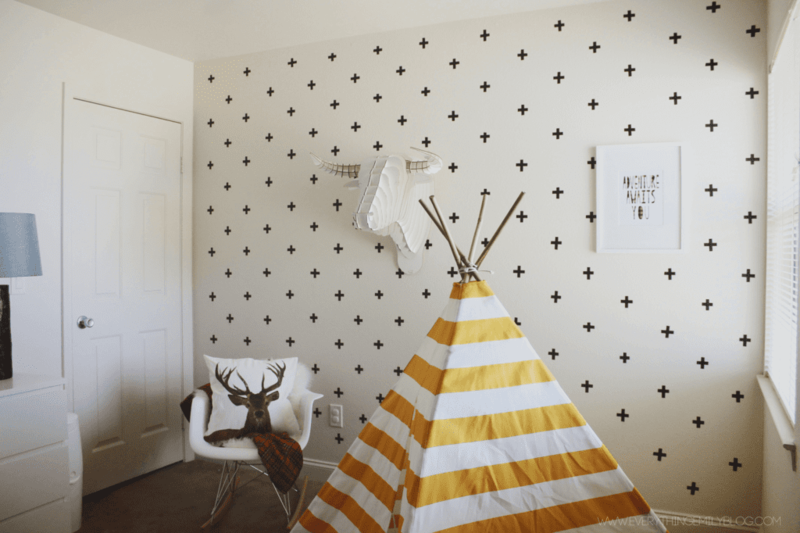 Washi tape should definitely be safe on your walls and we love the idea of going with a bold black on a white rental wall. If you’re in a rental, chances are space is at a premium. 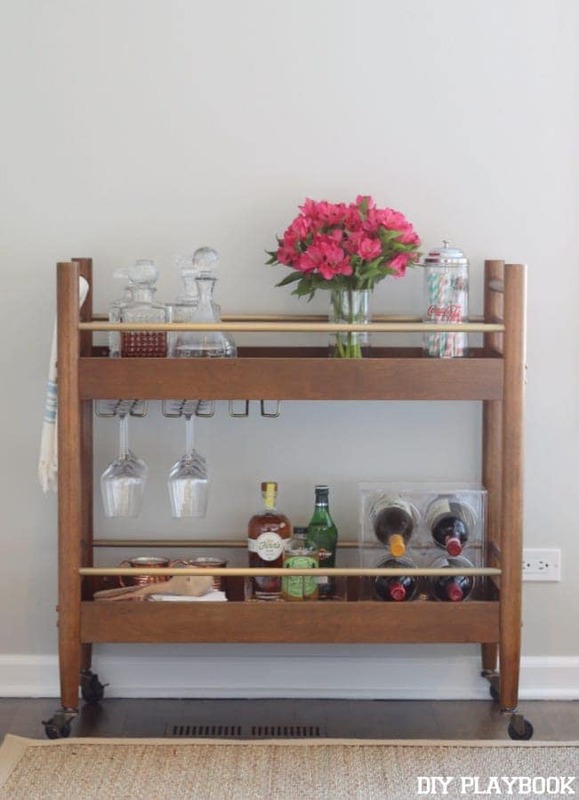 In order to maximize the small amount of storage, we suggest adding a cute little cart. This item can definitely transition to your next home, plus it can house lots of kitchen essentials. We like the idea of creating either a bar look, with pretty decanters, straws, and party essentials! Or try out a coffee cart with mugs, your coffee maker, and cute jars for sugar. Extra credit if you find a cart with wheels! Then you can move it around if you’re hosting friends for a party. Just because you’re living in a rental doesn’t mean it should be devoid of personality & creativity. Our motto is that your home should tell your story, and that’s the case no matter what stage of life you’re living in! 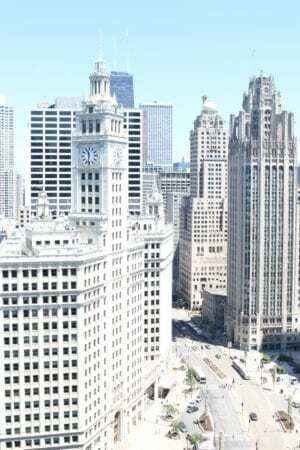 Apartment, mansion, forever home, 6-month lease…it doesn’t matter to us. 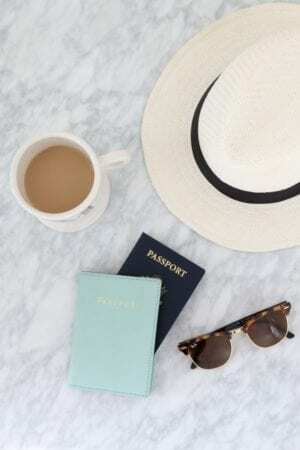 Take some time to make the space around you a happy place to be, because you deserve it!